The European edition of The Experts Conference (TEC) rolled around in Barcelona this week. As a location, the conference center was fine, if just a tad remote from the delights of Barcelona’s city center. The conference center is co-located with the Hotel Rey Juan Carlos 1 that’s used by FC Barcelona to host guests for UEFA Champions’ League matches because it’s close to the Camp Nou stadium, and proved to be a good place to stay. The remote location might be considered to be a good thing by some on the basis that attendees might stay focused on the conference proceedings, but many escaped in a search for restaurants, etc. Although the Exchange sessions were reasonably well-attended, I thought that TEC had less people than last year. Of course, the Microsoft Exchange Conference (MEC) was last month and attracted a lot of people. In addition, Microsoft is running a set of “Ignite” events across Europe that others will have chosen to attend. TEC is run by Quest Software, now a division of Dell, and it has a fine reputation for high-quality sessions that was maintained in the sessions I attended. Some notes on matters of interest follow. Click here to download the slides from my opening keynote (which provides a real fly-by of Exchange 2013). During the “ask the experts” (a fairly loose description for the assembled talents), Greg Taylor (well-known Microsoft guru), expressed some frustration when asked about the recent ActiveSync woes experienced by Apple iOS6 users. ActiveSync is a protocol that Microsoft licenses to third parties, who then integrate ActiveSync into their email applications to provide users with the ability to connect to Exchange. Although Microsoft offers support and guidance to licensees to help them implement ActiveSync and announced an ActiveSync logo program in April 2011, no validation is required to ensure that the application works properly against Exchange before it is released. That work is totally under the controller of the developers, in this case Apple. Greg acknowledged that Microsoft has to cope with the perception that Exchange is the root cause of any ActiveSync problem and that even though there are people assigned to work closely with third parties, they might need to take a more proactive approach to ensure that future problems don’t occur. He pointed to some code changes made in Exchange 2013 to remove an Exchange 2010 feature where a HTTP 451 redirect is provided to ActiveSync clients to point them to the current location of a user’s mailbox (see this discussion on Google’s code site for some insight into issues that this caused for Android clients). 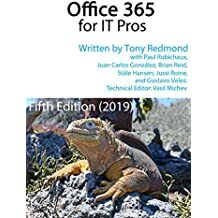 Apparently some clients just couldn’t handle the 451 properly and Microsoft concluded that the easiest fix was to change the logic in Exchange 2013 so that the Client Access Server now proxies incoming ActiveSync connections. The record of Exchange over the years is that SP1 is “feature complete” when compared to the RTM software. Exchange 2013 is no different in this respect. Building off the question “what would you like to see in Exchange ‘next’”, a spirited debate took place around the changing nature of communication due to the influence of Facebook and Twitter and how companies can handle this both to harness the value of the information plus capture it for compliance purposes. Some companies attempt to block access to Facebook at work because they fear that employees will spend too much time chatting with friends. I think this is a fair concern because Facebook does seem to steal cycles from people in such a way that they don’t realize quite how much time they spend on the site, a feeling underscored by the high number of minutes that Facebook reports for user connections. There are many challenges here. Blocking network connections is all very well but it doesn’t stop people connecting to Facebook with their mobile devices. I hear that Microsoft has many very intelligent people dedicated to figuring out how Exchange should co-operate and co-exist with new communication channels. Perhaps they’ll figure out how work-related Facebook and Twitter communications can be seamlessly captured by Exchange in much the same way as Lync conversations can be recorded. We shall see in due course. In closing, I note that David Espinoza, the product manager who drives the Exchange customer Technology Adoption Program (TAP), claimed “if Exchange was a standalone company it would be the 9th largest software company in the world” at Microsoft’s Ignite event in Berlin (reported by Twitter, so take that into account). If true, this underscores the importance of Exchange to Microsoft and its impact on the world of email. I don’t think anyone now doubts the dominance of Exchange for corporate messaging. Its challenge though is to maintain its relevance in a world where the nature of personal communication is going through rapid change, possibly faster than at any other time since the introduction of the original integrated office systems in the early 1980s. In closing, I note that Microsoft has posted help files for the released versions of Exchange 2013 on-premises and hybrid. The help files should be a good place to look for information about Exchange 2013 in the coming months so I’d grab a copy and have it on your local disk. As always at good conferences, lots of value was gained from the side conversations. I look forward to the next event. This entry was posted in Cloud, Email, Exchange, Exchange 2013, Office 365, Outlook and tagged ActiveSync, Exchange 2013, iOS6, Modern public folders, TEC 2012, The Experts Conference. Bookmark the permalink.